Nancy Dering Mock brings intellect, insight and savvy to her role as principal in her consulting practice, NANCY DERING MOCK, and as a leader in her profession and community. An accomplished executive, entrepreneur and consultant, she has broad experience in private, public and independent sectors. Nancy is recognized as an incisive strategist and trusted advisor in Strategy, Leadership, Change and Human Capital Management. She is highly sought after as an articulate, inspiring and powerful communicator and master facilitator of high-profile, high-stakes deliberations. Her clients include corporations, professional services firms, government agencies and nonprofit organizations. Additional information can be found at www.nancydering.com. 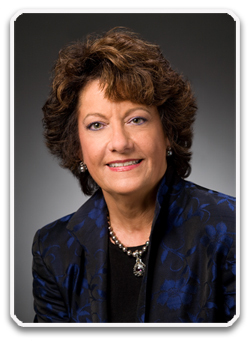 Prior to returning to the private sector in 2007, Nancy was Deputy Secretary for Human Resources and Management in the Governor’s Executive Offices for the Commonwealth of Pennsylvania. She was appointed as Deputy Secretary by Governor Tom Ridge in 2000 and re-appointed by Governor Edward G. Rendell in 2003 at which time she was named Chief Human Resources Officer and added to Governor’s senior staff. She led the Office of Human Resources and Management, responsible for managing Human Resources policy and programs for the Commonwealth, an employer of 80,000 employees. During this time, she also served as President-Elect of the National Association of State Personnel Executives and was the 2006 recipient of NASPE’s Eugene Rooney Award for Leadership in Human Resources. Ms. Dering Mock was founder and president of The Dering Consulting Group from 1986 – 1999. She successfully built the firm into one of the most respected teams of organization development professionals in Pennsylvania, with a client list that included Fortune 500 companies, educational and healthcare institutions, and nonprofit organizations. She worked extensively with government organizations at the federal, state and local levels and completed international assignments with Argentina and Zimbabwe. She sold the firm in 1999. From 1986 through 2007, Nancy was adjunct faculty at the H. John Heinz School of Public Policy and Management at Carnegie Mellon University, designing and presenting seminars for Executive Development programs. Nancy received her Bachelor’s degree from Elizabethtown College and her Master’s, with highest honors, from Temple University. In July, 2001, Nancy was selected and participated in the prestigious Program for Senior Executives in State and Local Government at the John F. Kennedy School of Government at Harvard University. In June, 2013, she was a participant in the National Security Seminar at the U.S. Army War College. She has been actively involved in professional associations and community organizations having served on the Boards of the Harrisburg Regional Chamber of Commerce, the YWCA of Greater Harrisburg, the Harrisburg Symphony and Leadership Harrisburg Area. Recent community involvement includes serving on the Board and Executive Committee of the United Way of the Capital Region, as Chair of the Cultural Enrichment Fund Board, as a member of the Board of The Foundation for Enhancing Communities and on the Board of Advisors for Harrisburg Young Professionals. She currently serves on the boards of directors of the Gettysburg Lutheran Seminary and the Foundation of First Coast Technical College. Nancy is also the author of a series of a six books, Discovering Meaning, Discerning Direction and Deepening Faith, published by Morehouse Publishing in 2003. She is married to Phil Mock, a retired U.S. Army Colonel and social activist for the “untouchables” of India. Together, their family includes five children and seven grandchildren and they enjoy travel, music and reading.